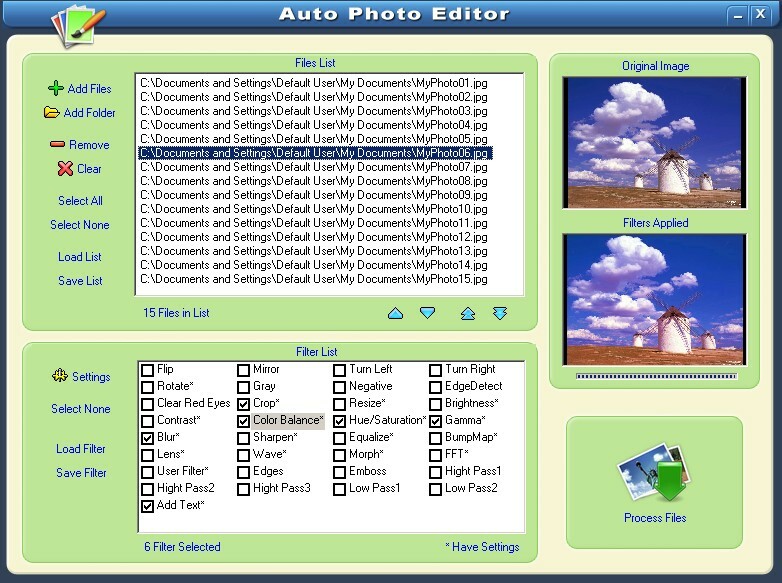 Auto Photo Editor is an all-in-one photo editor for your batch photo editing converter. Allowing you to easily convert multiple photo/image files at the click of a button. You can batch resize, rotate, stamp text on your images and convert format to others. Its easy to create batch files to automate routine photo processing/conversion tasks.